overwhelmed by grief or disappointment. Pain is inevitable, and at times it is unbearable. I really admire survivors and overcomers, these people strive past the hurdles of life. I am really inspired when I see people who are entitled to be downtrodden and depressed, carry on through death, sickness, disease, tragedy with much joy and abundant hope. I love to see cancer patients smile, I love to see people go through grief with hopeful attitude, I love to see people cry but laugh at the same time. I am quite the sensitive type, and by God’s grace he has enabled me to empathize with others; although it has been quite the journey to manage. And not too long ago, I realized that I am a servant of God. 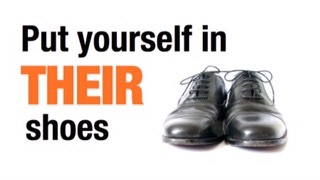 As a servant of God, we are to be of service to God for the sake of His glory here on earth. Jesus was compassionate towards the multitudes and performed many miracles, that’s great- let me go out there and perform miracles too. No, sadly, and honestly, I cannot say that I have fully surrendered to be a servant of God. I have a self that refuses to die, we have been battling for nearly a decade. Unfortunately because of this resistance in my inner being, God has had to humble me. And in doing so He has had to break me: leaving me with no choice but to depend on Him to build me up and mend me back together. Life happens to all of us, so God is able to mend all of us back together. He is the potter and we are the clay. I have learned that God is truly a potter, creator of all things seen and unseen. He created our bodies: we have been wonderfully and fearfully made. We also have an inner being, which develops and takes form, as we mature in age and experience. I’d like to use “the Potter and the Clay” metaphorically, and I’d like for you to place your self in the potters hands. A potter knows how to deal with clay and to give it form. There is a process though, from clay to vessel!! Imagine your self having to be slammed, mashed together and spun around on wheel until you are steady enough to take shape? Or sitting under the scorching sun or in a baking oven waiting to dry up, and be firm? What about having to be refined and filed down to perfection? What if you were broken in some area or altogether?! 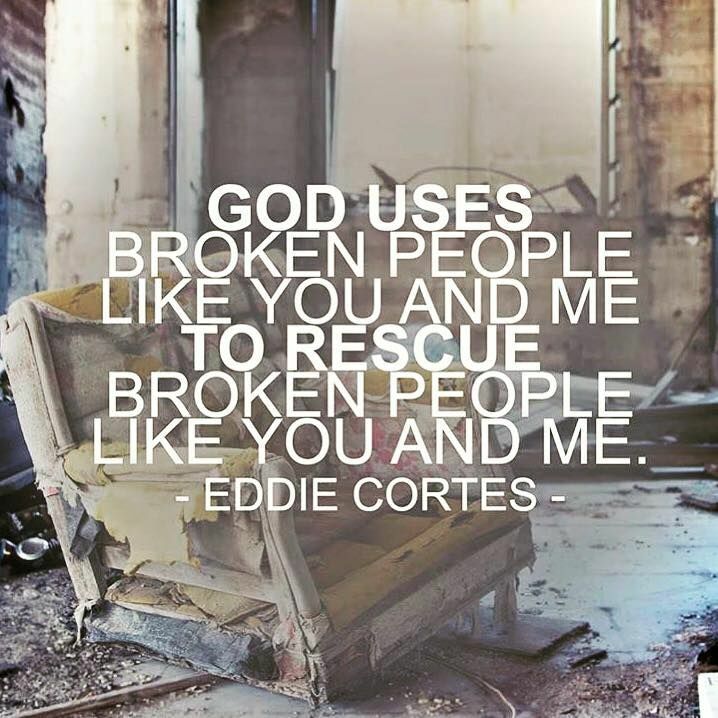 The truth of the matter is that we all share some type of brokenness, none of us turn out to be perfect vessels. Nobody is perfect and nobody’s life has been perfect. 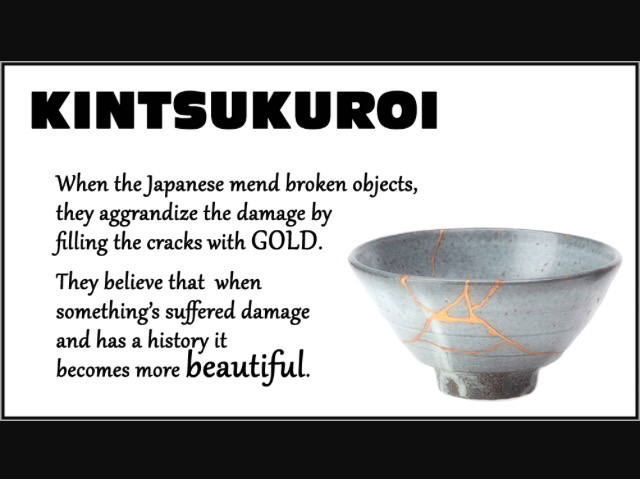 I actually learned of kintsukuroi, a pottery making art- broken pottery is mended together with gold lacquer, making the original average in comparison to the new creation. It reminded me of how God can use our scars, wounded pasts and shattered hearts to make us more beautiful than when we thought we were a finished work. God is the potter, whether we fall and break, or if we become broken by Him- He is sobereign and He will restore us double for our trouble! I believe it, do you? Lord God, lover of our souls- for reasons outside of our comprehension we are broken vessels in your hands. We recognize that you are the creator of all creation, and we know your word says that You mend the brokenhearted back to wholeness. Lord Jesus, we believe you: I present my self and my people to you Most High, for a restoration to our inner being. 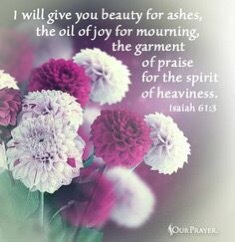 Fill our broken crevices with gold, give us beauty for ashes, give us joy over our history and bring your name glory in the testimony. In Jesus mighty name I pray, Amen.